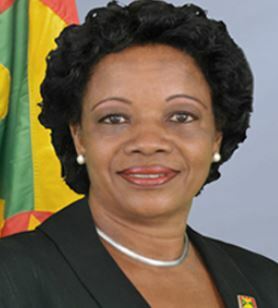 Minister for Agriculture, Lands, Forestry and Fisheries Hon. Yolande Bain-Horsford is attending the First Meeting of Ministers for Agriculture for Mexico and the Caribbean in Merida, Yucatan Mexico from 18 to 21 October 2016. The high-level meeting in Mexico is designed to facilitate dialogue with Caribbean Countries and give them the opportunity to share their knowledge and experiences on the change in strategic food industry areas. The session will be facilitated by specialists from International Organizations, all geared towards preparing for the implementation of two Regional Technical Cooperation projects. The forum will highlight topics such as: Women and youth inside rural environment, family agriculture, shared challenges in animals and plant health, food and safety, food quality identification and agricultural sustainability. A Dialogue will also be held with International Cooperation Agencies like the Inter-American Institute for Cooperation on Agriculture (IICA), Food and Agriculture Organization (FAO), the French Institute for Research and Development (IRD) and the Ministers of Agriculture.